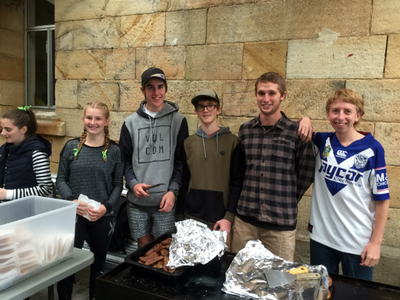 Despite the rain and gloom, nothing deterred the local community from attending Founder's Day celebrations at La Salle Academy, Lithgow. "Today is really an opportunity for us to establish as a school community our Lasallian links, and acknowledge that rich Lasallian culture of history and tradition. We hope to continue those connections and build upon these foundations," said Principal Joyce Smith. 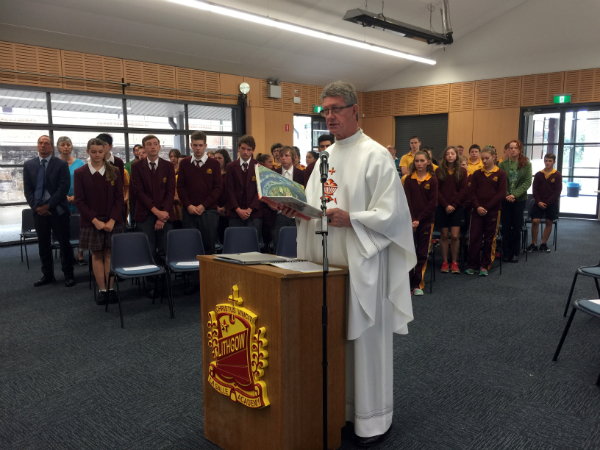 Father Garry McKeown led the service and offered the gathering a take-home message. "I want today to serve as a reminder that we all have a responsibility to make a difference in this world, and to do good by others as did St John Baptist de La Salle." Lasallian values teach students not only to contribute to society but to help transform society through programs of community service, advocacy, social justice and education. "Today is another opportunity to provide students with the awareness and understanding that they're all a part of something bigger than themselves," said Principal Joyce Smith. An insightful presentation from the CEO of the Lasallian Foundation Miranda Chow, also served as a reminder in helping those less fortunate and working together to create opportunities for education and vocation. 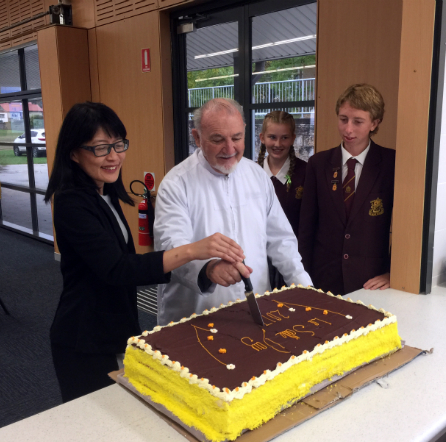 Executive Director of Schools for the Diocese of Bathurst, Jenny Allen said, "It really is a privilege to work in education. I am grateful to be here and as a member of the wider local community." To mark the celebrations, all students enjoyed morning tea, scheduled activities and a basketball tournament to end the day.